The same Icelandic volcano cluster whose billowing grey clouds caused widespread travel disruption across Europe last year will soon spawn an entirely different kind of cloud: an environment-friendly data center that hosts web applications. Next month, Iceland startup Greenqloud plans to publicly debut an Amazon EC2-compatible service it claims will be the world's first truly green cloud: its servers are powered using nothing but renewable energy sources, have been customized to reduce the amount of power they consume, and are chilled in a data center that's cooled using Iceland's nippy air. Greenqloud, currently in beta testing with a couple of hundred customers, consumes electricity generated by the hydroelectric and geothermal sources that go hand-in-glove with Iceland's volcanic activity: Iceland straddles two tectonic plates, with more than a third of the country's 40,000 square miles volcanically active and ready to produce another Eyjafjallajökull, the volcano that cause so much trouble last year. Greenqloud founder and chief executive Eirikur Sveinn Hrafnsson is gunning for Amazon, and hopes to deliver a compute service that's cheaper, faster, and easier to use than Jeff Bezos' book-and-everything-else seller – minus the carbon footprint. He also hopes to beat such pretenders to Amazon's cloud crown as Microsoft and Salesforce, which are trying to close the gap on Bezos' baby, but whose machines leave a equally dirty planetary footprint. Amazon doesn't say how many customers are on EC2, but Cloudkick – bought by Rackspace in December – is reported to have calculated that Amazon is running 90,000 "virtual computers" a day. Rackspace is also trying to become bigger than Amazon. Compatibility with Amazon's EC2 is important, Hrafnsson told us. "We are trying to get on the high end right away, without having a price penalty." Hrafnsson told The Reg that he plans to capitalize on the fact that Greenqloud's servers are powered using renewable sources that are cheaper and greener than the sources powering Amazon. "We thought, 'What does have Iceland have?' We have fishing and then we have renewable energy – we are pretty good at computer science, too!" he jokes. Icelandic humor aside, Hrafnsson has a real beef with tech companies that color themselves green. He rails against those who claim some kind of power efficiency when – in reality – it's hard to prove or disprove their claims because nobody has created an accurate benchmark to measure the power used or carbon footprint of servers running in a data center. Cloud evangelist Salesforce recently prodded the confusion pig further, claiming – based on a survey it had commissioned – that cloud-computing services produce 95 per cent less carbon compared to on-premise application servers. Salesforce is tugging at our green heartstrings, trying to persuade us that apps running on its servers will mean a greener planet for you, your children, and your childrens' children. Microsoft has been boasting about the greenness of its data centers as well, recently talking up how its Chicago and latest Quincy data-center expansion use natural cooling rather than air conditioning systems burning up yet more watts to chill its servers. Amazon – the one they're all trying to beat – is shy about its data centers, and won't talk about what it has running behind the scenes. But whatever it has, you can be sure it comprises tens of thousands of machines. Mega-analyst Gartner recently upset this mutual greengasm by pointing out the obvious: servers and their cooling systems need electricity. According to Gartner, IT and cloudy services are helping choke – not save – our planet. They estimate that in 2007 the information and communications technology industry accounted for approximately two percent of global carbon dioxide (CO2) emissions – that's equivalent to the amount produced by aviation. That's correct: your company's server farm lives in the same carbon shame-shack as does that transatlantic flight you took on Virgin Atlantic last summer. To try and get everybody on the same page, Hrafnsson devised his own green metric so that Greenqloud's customers and potential partners can measure his company's credentials against those of its rivals. Hrafnsson's metric is called the Green Power Usage Effectiveness metric, or GPUE. If GPUE sounds familiar, it should: it's based partly on the Power Usage Effectiveness (PUE) metric devised in 2007 by the industry consortium The Green Grid, and authored by Microsoft, Dell, AMD, and SprayCool, a specialist in cooling technologies heavily used by military data centers. Hrafnsson is critical of PUE because it quickly became a widely adopted metric to "prove" the green credentials of data centers. According to Hrafnsson, PUE has been hijacked by marketing departments that don't really understand what it is. "PUE implies the efficiency of the data center," he said, "but it's a marketing thing – it shouldn't be allowed! Ninety per cent of the data center conferences are talking about PUE." He's not alone: data-center authority the Uptime Institute has also picked apart PUE for becoming a green-washing marketing-monkey's dream vehicle. The problem is that PUE doesn't discriminate among the different sources of power generation, and that although it has been updated by The Green Grid with PUEx, which factors in where a given measurement is taken, the system is still difficult to explain. Also it doesn't provide a completely accurate server-greenness gauge because it rates the entire data center rather than just measuring the power consumption of the servers. Hanson's GPUE is based on PUE, but it ascribes a value to each power source. That value is based on a 2008 study by the academic and author Benjamin Sovacool, who gives the hydro-reservoir, hydro-river, and geothermal sources that Greenqloud uses values of 10, 13, and 38, respectively. Heavy oil and coal – used by others – get 778 and 960. You can read more about the GPUE scheme on Greenqloud's company blog. You could argue that by bringing his own metric to the game Hrafnsson is only confusing the debate further – especially given that GPUE is used only by Greenqloud. Also, some who think nuclear is a stepping stone to a green planet (except when it melts down, naturally) take exception to Sovacool's numbers because he gives fuels they favor such a heavy rating. Hrafnsson responds that GPUE is a more-accurate yardstick for data centers than PUE, and is also easier to calculate and understand. "We can use it to calculate the actual emissions per usable kilowatt hour. It tells you how much energy goes to waste in cooling," Hrafnsson tells us. "Our goal was to raise awareness and help data centers that are truly green fight their green-washing counterparts." The lion's share of Iceland's electricity is produced using renewable sources: 85 per cent of it electricity is generated using hydroelectric power, as falling or running water turns the fans of power-station turbines. Geothermal power generation, which uses hot water warmed volcanically underground, is another big resource, harnessed by using high-pressure steam to drive power-station turbine blades. Furthermore, Icelandic boffins are now looking to tap the heat of volcanic magma oozing beneath the island's crust to generate even more 'leccy. Last year's Eyjafjallajökull eruption and the country's seemingly endless supply of geysers, glaciers, and magma flows might create the impression that Iceland has a monopoly on hydroelectric and geothermal power – but that impression would be wrong. In fact, the country is not even the world's top producer of power from these sources. 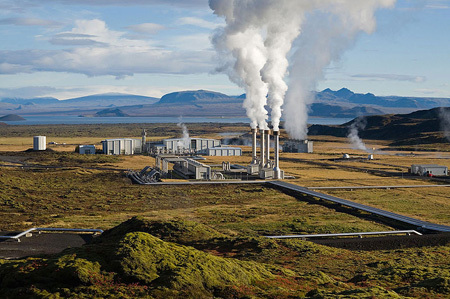 The US is the number-one generator of electricity using geothermal sources, with Iceland seventh, according to the Geothermal Energy Association (PDF). In hydroelectric power, the US is second only to Canada, thanks to its massive dam-building campaign in the last century. "It's a myth green energy is more expensive or less available – one of the biggest producers of geothermal is the US!" Hrafnsson exclaims, suggesting others could get in on the Iceland act. Greenqloud is not just sucking in green electricity. It has also taken steps to minimize the amount it uses, while harnessing natural techniques to cool down its servers. For example, the heat sinks cooling those server's 8- and 12- core Opteron 6100s have been swapped out for more-efficient ones through work with systems integrator Very PC. Also, Greenqloud is housed in Iceland's Thor data center, whose managing director Jon Viggo Gunnarsson tells us cools its servers using "natural free cooling technology". Because of Iceland's low ambient air temperature, servers can be cooled without any additional chilling technology. Thor's home – Hafnarfjörður, near Reykjavík – sees winter temperatures drop to 32-44F (0-7C), which are among the warmest digits on the mercury in Iceland for that time of year. During the height of summer, temperatures bump up to 47-60F (9-14C). Greenqloud's GPUE would tend to favor any cloud provider with its servers in chilly Iceland, and that's probably something Hrafnsson is banking on against Amazon and others. Hydroelectric and geothermal power generation contribute a relatively small percentage of the electricity that's used by cloud providers such as Amazon who tap into the national grid in the US. Fossil fuels – coal, especially – dominate in the US, meaning that under Hrafnsson's GPUE, their metric will always be higher because their electricity supply is tainted at its source by fossil fuels. That'll hurt Amazon in addition to Microsoft and Salesforce. All three are running thousands upon thousands of servers in the US, as well as in Europe and Singapore. Amazon has machines in northern Virginia and northern California, Microsoft in Illinois, Texas, and Washington State, and Salesforce has two data centers apiece in Illinois and northern Virginia, along with facilities in San Francisco and San Jose. Such providers, however, could soon be armed with another metric that helps them fight back. Just last December, The Green Grid introduced its Carbon Usage Effectiveness (CUE) metric to measure emissions associated with data centers. It's something even Hrafnsson is positive about, although he says GPUE remains easier to "get". "The data-center world also has The Green Grid's CUE metric, which is great," he says. "GPUE is still much easier to calculate and understand because it was made to compare with PUE (which has a similar scale) but CUE is more comprehensive." In the meantime, Greenqloud is following in the footsteps of some of its Icelandic neighbors, and turning to a more official form of certification to cement its green creds. The startup is working to achieve its ISO 14001 certification for energy management, which is also used by national power utility Landsvirkjun. ISO 14001 helps companies set up and comply with a framework that reduces their negative impact on the environment. "For us, it means that we can prove in a standardized way that we have a sustainability policy that tracks our environmental progress through measured objectives and certifies our use of 100 per cent renewable energy and also that all stakeholders in Greenqloud are upholding that sustainability policy," Hrafnsson says. "In business terms, it means that enterprises that are ISO 14001–compliant today can more easily trust us to keep their own environmental commitments." ISO 14001 certification is important to Hrafnsson because he hopes to build a network of partners and affiliates under a program he's calling Truly Green, in which partners will get a trademark they can display on their sites, and use that rating to "get revenue for attracting other like-minded people to Greenqloud," Hrafnsson says. "We are looking for partners who can follow that sustainability policy using only renewable energy – we hope to grow very fast to other platforms." Ahead of this affiliate program, Greenqloud is putting the final touches on its cloud. Next month's launch comes after about two years' work, and follows the realization by business and government leaders in Iceland that the country's abundant supplies of naturally generated electricity could attract data center start-ups. Before Thor, data centers on the island had been private affairs run largely by the likes of banks. 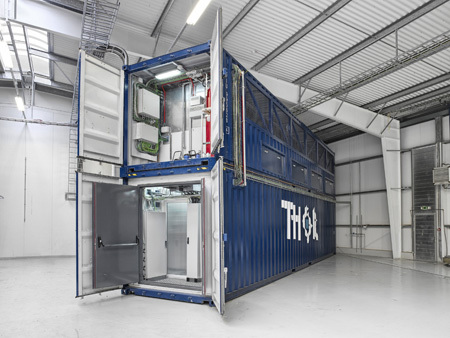 The Thor data center is among the first in a new generation of commercial service providers setting up shop in Iceland. Opened in May 2010, Thor arrived after a PricewaterhouseCoopers report on the feasibility of a local data-center industry, the laying of a 5.2Tb/sec cable from Iceland to Denmark with connections to Amsterdam and London, and a change in Iceland's VAT laws to favor the purchase of data-center equipment. Jan Ziervogel, a partner in the business and government consortium Green Data Island, which is focused on attracting data centers to Iceland, told us that startups are being won over by the prospect of low costs. They're using less power associated with cooling, and that power is competitively priced. Iceland's national power provider Landsvirkjun is a member of Green Data Island. Greenqloud's servers will run in what Thor calls its Performance Optimized Data center, or POD, with more PODs added as the service grows. The facility has been built to withstand the island's trademark volcanic and seismic activity: Thor sits on top of a bunker-grade plate more than two feet thick, the PODs rest on shock-absorbing stabilizers, and the facility has high-grade air filters that are regularly cleaned and replaced to keep out that pesky volcanic dust. 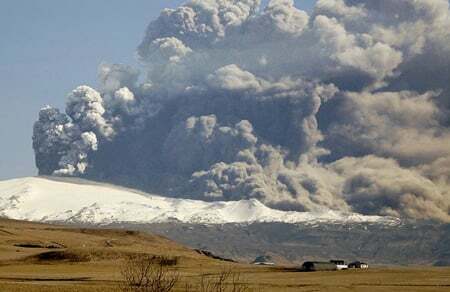 Thor and Green Data Island both say that there was little disruption from Eyjafjallajökull last year, and another Thor resident, the proxy-feuled Opera Mini browser service, continued without interruption. The servers being used by Greenqloud run a customized version of the open source KVM virtualization layer on boxes powered by 8- and 12-core AMD Opteron 6100s, with a clustered file system designed to remove points of failure, enable high-speed data transfer rates, and let Greenqloud deliver new types of service. The company is planning to offer shared drives between virtual machines, offering a kind of NAS or NFS from its clustered file system, with servers connected with up to 40Gb/sec Infiniband. At the network layer, the VLAN is filtered to provide completely isolated networking for users who can also upload and create an image using their own installation DVD or CD. Hrafnsson says he began building Greenqloud because he was frustrated with the overselling of cloud computing services in Europe, where he worked in government IT at the time. "Until two years ago it was total crap – it was virtualization being marketed as cloud. That's not cloud – cloud needs to be really scalable and have APIs and be manageable," he says. It remains to be seen how well Hrafnsson can sell his green dream – or, for that matter, effectively argue its importance. After all, green computing might make us feel better as an industry, but the problem is that computers still run on electricity. And cloud computing – like carbon offsets – only makes the problem somebody else's, especially as most service providers are drinking from a power well that's tainted by power stations burning fossil fuels. Further, it could be the same geography location helping produce so much green ‘leccy that deter potential customers from jumping on board. The challenge for any service provider sitting so far north on an island is network latency – the speed at which the bits and bytes move. That translates into responsiveness of an application once a user has clicked their mouse. Latency can be increased by where your servers are housed and the speed of network connection attaching them to your users. Iceland’s not just isolated - Thor and Greenqloud are about 1,170 miles from London and 2,590 miles away from New York City - but Iceland's lacking the fist fulls of high-speed network infrastructure from service providers that are the hallmarks of the counties where rivals have set up shop. That recently laid 5.2Tb/sec cable, named Danice, is the most recent effort to try and address this last point by juicing Iceland’s connection to the computing world. It’s also the biggest push so far. Danice follows the 160Gb/sec Greenland Connect cable in 2009, 720Gb/sec Farice-1 in 2004, and 5Gb/sec Cantat-3 in 1994. Hibernia Atlantic announced plans for a high-speed cable in 2007 but a company spokesperson told The Reg for this article the project had not yet been completed.